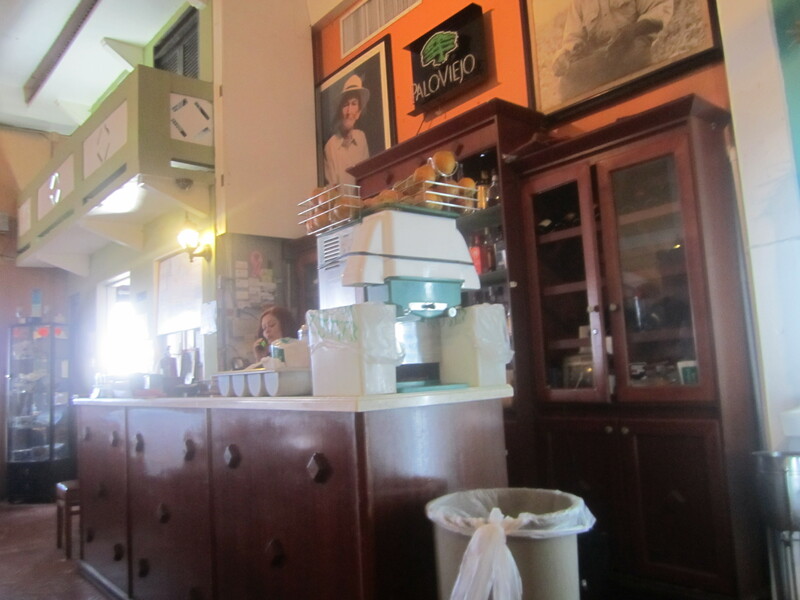 After wandering the Forts and Old San Juan, we stopped at El Jibarito for some local cuisine. El Jibarito is 36 years old and has an interesting design concept. 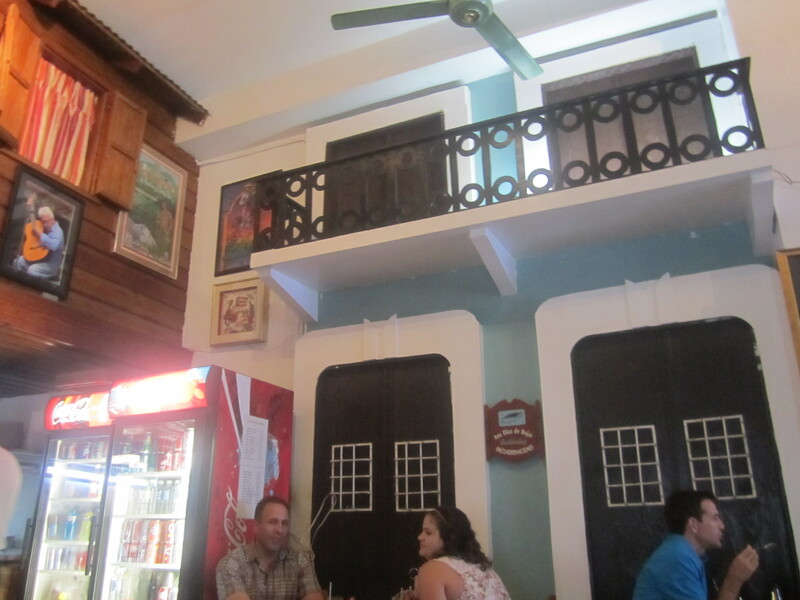 The interior of the restaurant has indoor window scapes and Disney-like building exteriors. The bar area had the industrial green and white juicer we wish came in an at home model. Our favorite window diorama was the adorable wood cabin window scape, with a proper rocking chair. 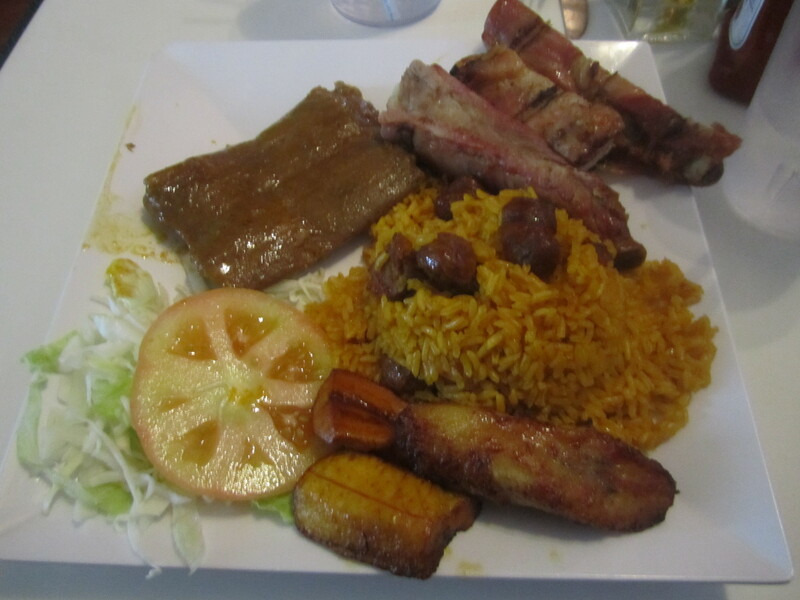 We enjoyed the Holiday or Christmas plate, which was filled with pigeon peas and yellow rice, slightly sweet and fried maduros, tender pork riblets and Puerto Rican tamales (pasteles). The plate was filling and a traditional meal one would have at Christmas. 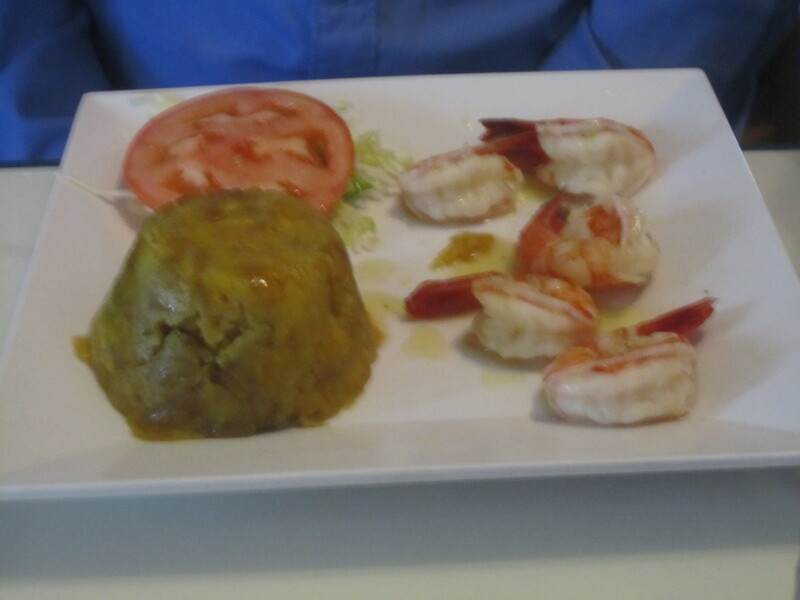 The shrimp in creole garlic sauce was light, fresh and was served with fried mofongo ($14.95). Although milanesa was off the menu, El Jibarito made the breaded cutlet under special request. The milanesa itself was nicely crusted with a moist meat center. 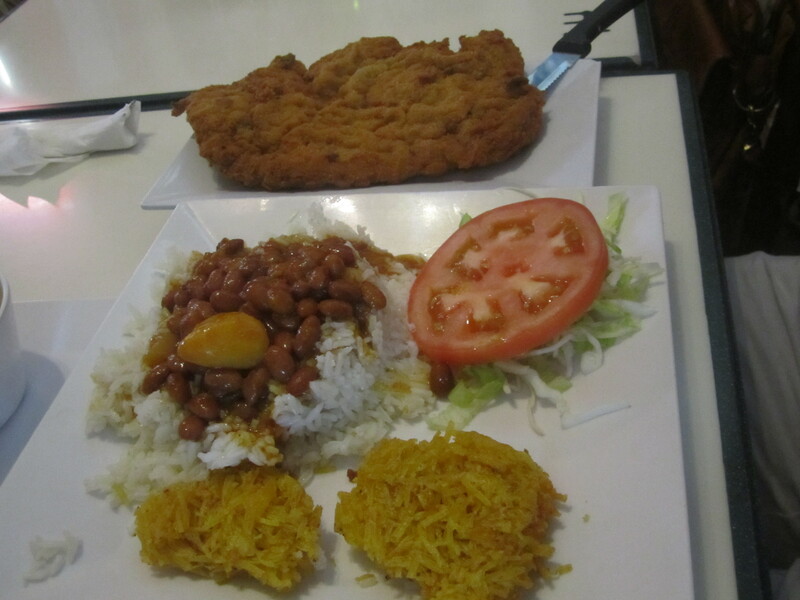 The rice and beans, gravy and potato fritters (similar to latkes) was a nice compliment to the milanesa ($9.95). Our server was friendly and very quick. Although the food was very generous in size and filling, it was very tasty. We are waiting impatiently for the opening of South End/Roxbury’s Vejigante. 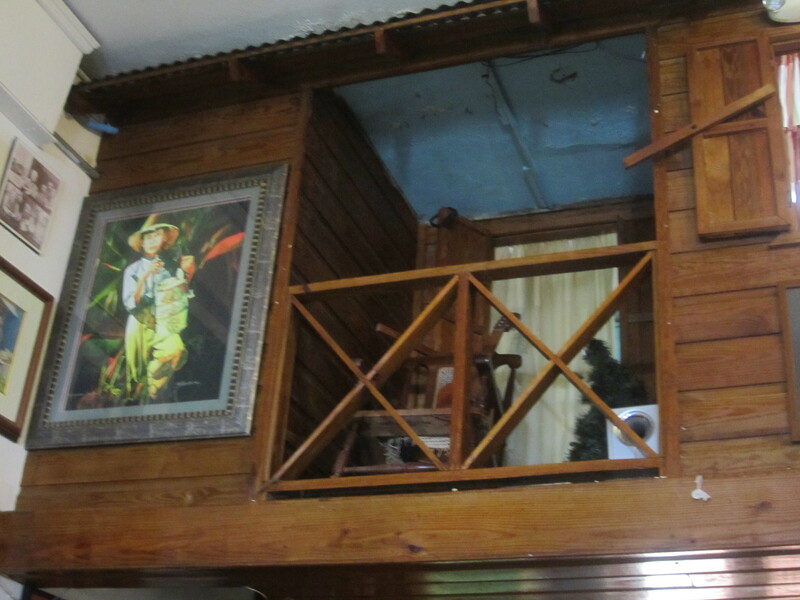 The decor is suppose to be similar to El Jibarito with the pastel window scapes and authentic Puerto Rican cuisine. We can not wait! Ladies the potato fritters served with the milanese are actually “aranitas” made of grated green plantain seasoned and then fried……this place is amazing. Buen provecho!